During the night German fire subsided. Company H crept through the opening in the obstacle, and when it did not suffer any casualties, at 04:00 Company G and the Headquarters Company followed, taking cover on both sides of the highway. Scouts in the point nearly reached the main farmhouse in the morning twilight when they were cut down by German fire. Lt. Col. Cole immediately called for artillery support, but the German fire did not cease. 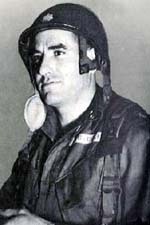 At 06:15, using a smoke screen for concealment, Lt Col. Cole ordered his executive officer, Major John P. Stopka, to pass word to the battalion that it would have to charge the German positions to eliminate them. 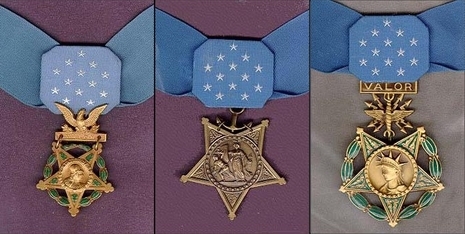 Using a whistle to signal the attack, Cole led a bayonet charge that overwhelmed the defenders in savage close combat, for which Cole was later awarded the Medal of Honor. At first only a small portion of the battalion, approximately 20 men, charged, but Stopka quickly followed with 50 more. The attack picked up impetus as the other paratroopers observed it in progress and joined it, crossing a ditch. Overrunning the empty farmhouse, men of Company H found many German fallschirmjäger dug in along the hedgerow behind it. Companies H and G killed them with hand grenades and bayonets but at severe cost to themselves. The survivors of 3rd/502nd PIR set up defensive positions and requested 1st Battalion 502nd PIR continue the attack. Lt Col. Patrick F. Cassidy's battalion, however, also took serious casualties from mortar fire and could only strengthen Lt Col. Cole's defensive line, taking up positions from the 3rd Battalion command post in the farmhouse to the highway. During a 2-hour truce at mid-day in which U.S. forces attempted to negotiate for removal of casualties, Company C 502nd moved forward from Bridge No. 4 into a cabbage patch between the second and third hedgerows. Company A 502nd moved up just behind Company C and extended its line across the highway. Fighting at the cabbage patch during the afternoon often took place at extremely close range with the contending forces on opposite sides of the same hedgerow. Except for the noon truce, which FJR6 also used to resupply and reorganize, the American forces repelled repeated attacks. The final one nearly succeeded in overwhelming the 3rd/502nd PIR at 1830, gaining all but the final hedgerow between it and the Douve River. However, Lt Col. Cole's artillery officer, able to overcome jamming of his radio, called down a concentration of VII Corps Artillery so close that several Americans were also killed. The overwhelming violence of the 5-minute barrage rolled back the last German counterattack. Patrols from the 327th had discovered a partially destroyed footbridge over the Vire-Taute Canal at the point where it connected with the Douve, northeast of the city. The bridge was repaired by 10:00, and a company each of the 2nd and 3rd battalions crossed and attacked down the forested banks of the boat basin (Bassin à Flot), but like the 502nd, were stopped a half mile (1 km) short of Carentan by machine gun and mortar fires that artillery could not suppress. FJR6, nearly out of ammunition, withdrew during the night, leaving only a small rear guard. A Luftwaffe parachute resupply drop that night seven miles (11 km) to the southwest arrived too late to help. The 17th SS Panzergrenadier Division (Generalmajor der Waffen-SS Werner Ostendorff), on the road toward Carentan since D-Day, had been delayed by air attack and lack of fuel. By nightfall on June 11 only a few advanced elements had reached the division's assembly areas.